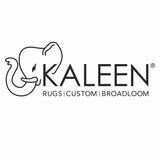 Kaleen is headquartered in Mumbai, India, and has three manufacturing units in Bikaner, Mirzapur, and Panipat where yarn rugs and broadloom are produced and shipped, using various international operations, and our United States office and distribution center in Dalton, Georgia. Kaleen’s point of pride and commitment to customer satisfaction reflects the proven success for over 50 years within the textile industry. The strength of Kaleen’s skilled artisans allows for many opportunities no matter the size or complexity of the project. Kaleen’s new and existing manufacturing plants are certified as “GREEN ENERGY,” i.e. solar power and recycling water plants.